If you suffer from osteoarthritis, removing certain vegetables from your diet could eliminate the pain in your joints for good. 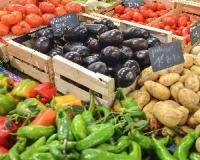 Why are Nightshade vegetables a problem? Nightshade sensitivity isn’t an allergy but actually a progressive loss of the body's ability to process substances known as “solanine alkaloids,” which are found in all nightshade vegetables. Solanine is actually a natural pesticide that these vegetables produce to deter insects from eating them. Over time, the body loses its ability to digest this substance which can cause inflammation and even a leaky gut. Discover: Can you completely erase arthritis pain in as little as 30 days? Unfortunately, there’s no test that can tell you if your arthritis will respond to a nightshade-free diet. It’s strictly a “try it and see” situation. Eliminate as many of these veggies as you can for at least three to four months and see if it makes a difference in your symptoms. Avoid these vegetables to see if your joint pain subsides. If it does, you know that you've developed a sensitivity to Nightshade veggies and should eliminate them from your diet for good.